2. The Gingerbread Blog is getting ready for Halloween and showed you how to make your own cute bat mobile! 3. Speaking of Halloween, take a look at these gorgeous yo-yo pumpkins from Mitzi's Miscellany. Visit her blog to get all of the instructions. 4. Vixen Made shared a great way to give an old long sleeve shirt a new life! 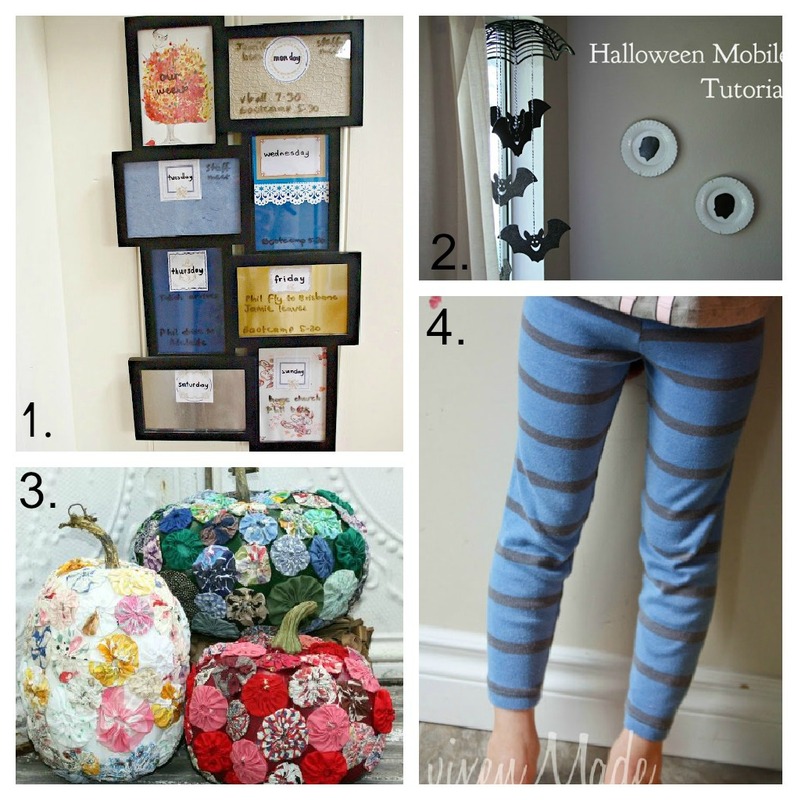 Thanks so much for featuring my leggings tutorial!! Have a great week, Tamara! Thanks so much for hosting another party! I've added my Easy, Homemade Peppermint Mouthwash (#68 ) that is non-toxic, easy to make and cheap. Plus, it tastes great and leaves your mouth feeling refreshed and super clean. I hope you like it! Found you and your linky party and I'm having fun looking around; thanks for hosting! Tamara - Thanks for hosting. I am in love with those linen slipcovers and her house makeover. Many more links to browse!